Formerly 2308 H. C. (Highland Cyclists) Bn. Born Perth, Scotland. Husband to Christina Brown Henderson, father to Edna. 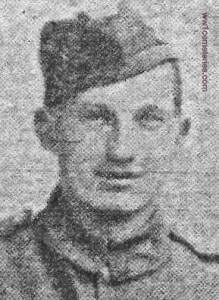 19th August 1918, aged 18. Son of Arthur and Ellen Astin, of Newfield Farm, Red Lees, Cliviger, Burnley. 11th April 1918, aged 21. Son of George Atherton, of 37, St. Matthew St., Burnley, and the late Jane Atherton. 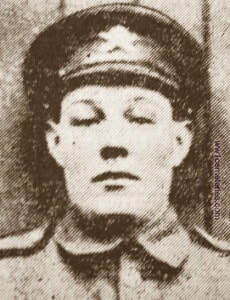 12th April 1918, aged 25. Son of the late Robert Pollock Barker, of Glastron, Ayrshire. 13th April 1918, aged 32. 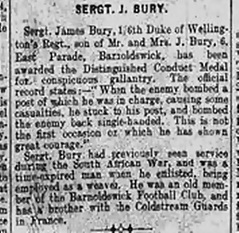 Son of Mr. and Mrs. James Bury, of 8, Victoria Rd., Barnoldswick, Yorks. George Eric Cardew M. C.
9th April 1918, aged 31. Son of Henry Masters Cardew and Beatrice Mary Cardew, of The Birches, Churchdown, Glos. Previously wounded in 1916. 2nd Bn. Cameronians (Scottish Rifles). 17th April 1918, aged 36. Son of the late Hon. Lt. Robert Allan Chalmers (Bengal Sappers), and his wife Catherine Barrett; husband of Isobel S. Chalmers (nee Robertson), of 20, Cadzow Drive, Cambuslang, Glasgow. One of six brothers who served in the war, three of whom fell. 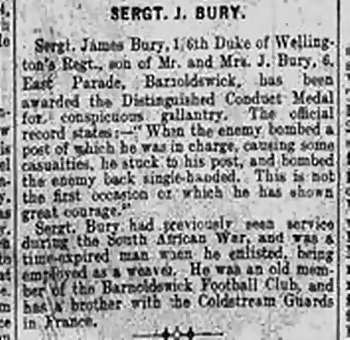 20th October 1914, aged 31. Husband of Florence Chapman of 23 Summer Lane, Barnsley, he also left two daughters Lorna Chapman aged 2 years and Vera Chapman who was just 12 months. 12th April 1918, aged 32. Son of Mrs. Elizabeth Chisnall, of 9, Holmsley St., Burnley. 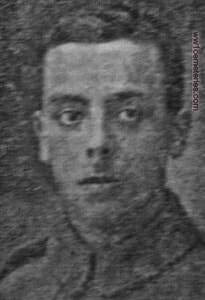 Died Between 09/04/1918 and 12/04/1918, aged 19. Son of John and Catherine Dean, of 5, Alma Court, Padiham, Lancs. 19th April 1918, aged 40. 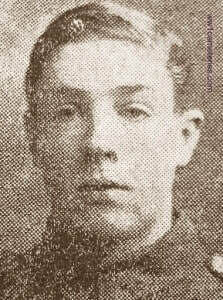 Son of the late Joseph and Jenny Devine; husband of Mary Elizabeth Devine, of 27, Ashwood Avenue, Gorton, Manchester. Son of Mrs. Florence C. Donaldson, of Sunny Bank, Whitefield, Manchester. Son of Mrs. Ellen Mary Dothie, of 32, Endsleigh Gardens, Ilford, Essex, and the late Capt. James Elvery Dothie.